Anritsu has announced that Korean operator LG U Plus (LG U+) has decided to use Anritsu’s Network Master Pro MT1000A supporting speeds up to 100 Gbps to test its 5G services. LG U+ is enabling the expansion of mobile backhaul & fronthaul network for 5G services using the MT1000A. LG U+ is one of the Korean mobile network operators to offer LTE as well as other general services over optical, IP, and cable networks. As part of this new 5G service expansion, LG U+ was looking for a mobile network measuring instrument that coculd support testing up to 100 Gbps. 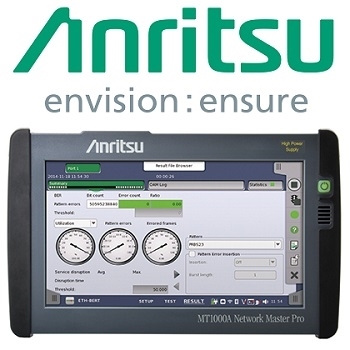 With support for the newest 5G mobile network eCPRI and RoE (IEEE1914.3) standards, Anritsu’s MT1000A has an excellent reputation with many global operators, leading to LG U+’s approval of the MT1000A versatile functionality for mobile network deployment. 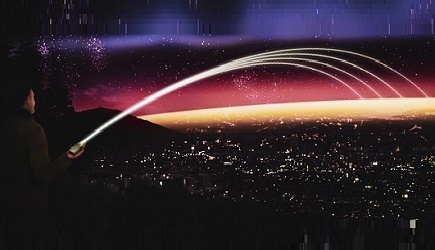 Anritsu is focusing its efforts on further MT1000A development to help early deployment of commercial 5G mobile network services with better service quality and lower installation & maintenance (I&M) costs. The portable MT1000A is designed for evaluating the transmission quality of various communications networks with speeds ranging from 10 Mbps to 100 Gbps. In addition to supporting standard network evaluations, such as RFC2544 and Y.1564 tests, it also supports OTN and SDH/SONET tests as well as CPRI and OBSAI tests used by mobile networks. Moreover, it has an interface for the eCPRI/RoE (IEEE1914.3) standard expected to be adopted by 5G mobile networks. Combining the MT1000A with the optional High-Performance GPS Disciplined Oscillator MU100090A offers precision time synchronization tests based on GPS time data as well as one-way delay measurements between two remote MT1000A units. Offering these test items as optional add-ons help control initial capital equipment costs. Click here to learn more about this product.